In term 6, we are focusing on forces. 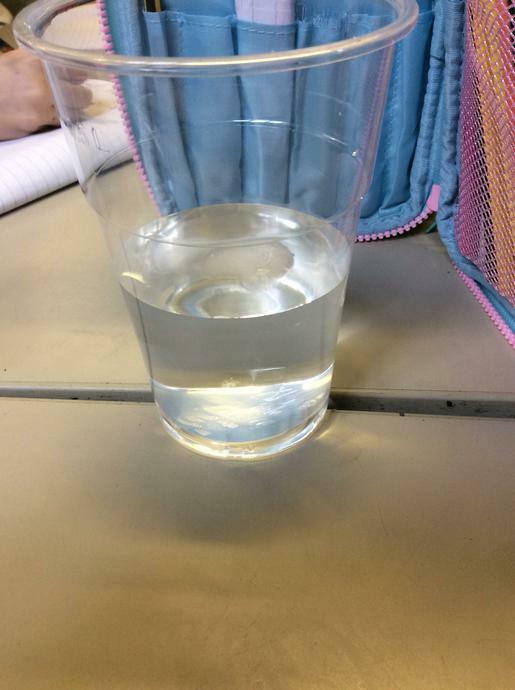 This week, we looked at centripetal force, and how this allows us to spin a bucket of water around without getting wet! When we slowed down, and the pull of gravity became the stronger forcace, the water came out. 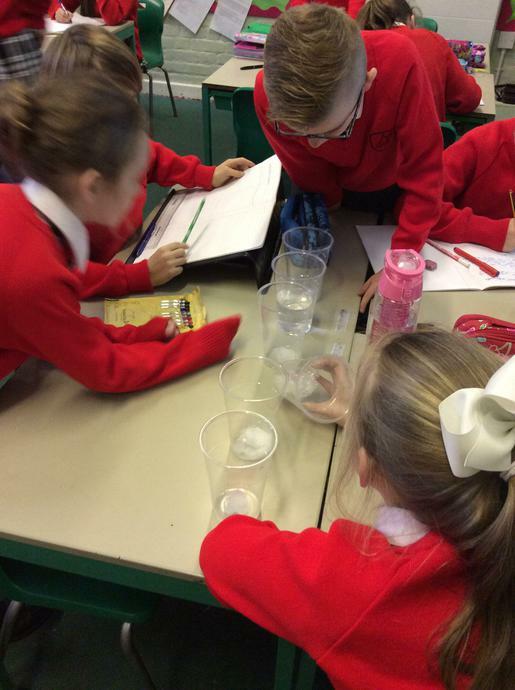 We worked in table teams to investigate the effects of friction. We were given plastic tub and some elastic bands, that we had to use to propel it. 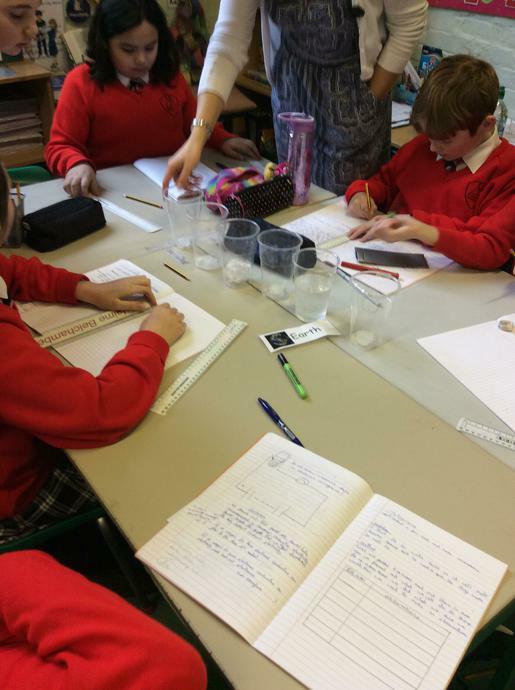 Then, each group decided on a variable that they would change, and then altered this in order to answer an enquiry question: how far will a tub travel when we change.....? We generally found out that the rougher the surface, the less it moved, as the friction was greater. 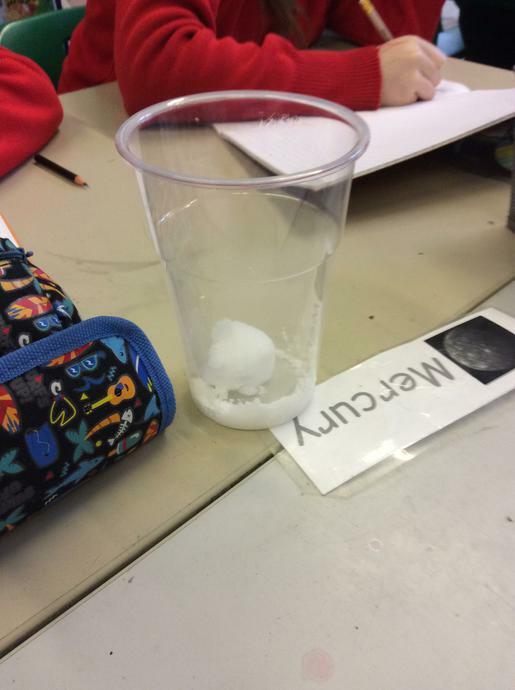 In science, we learnt about air resistance. 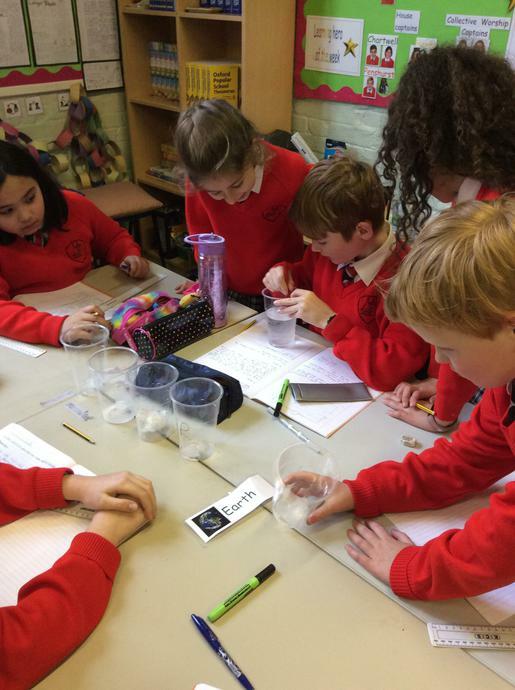 Then, we worked in teams to plan and conduct an experiment surrounding rockets and how far they travelled when we altered different variables. We found that the larger the rocket, or its wings, the shorter the distance it flew, as the larger surface area allowed more air resistance to act. 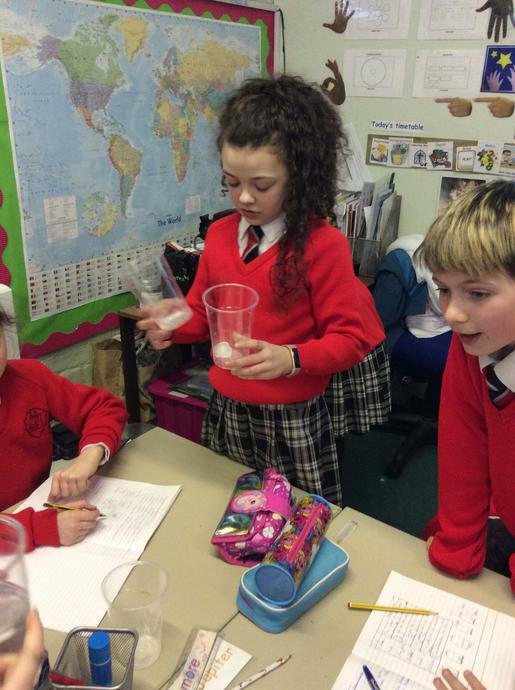 This week, we investigated pendulums. We created our own, using a pin, string and slotted weights. Then, we added more weight each time to see what happened to the number of swings it completed before it stopped. We have been learning about classifiying plants. As part of this, we investigated which classes of plant we could find in and around school, by conducting a survey. 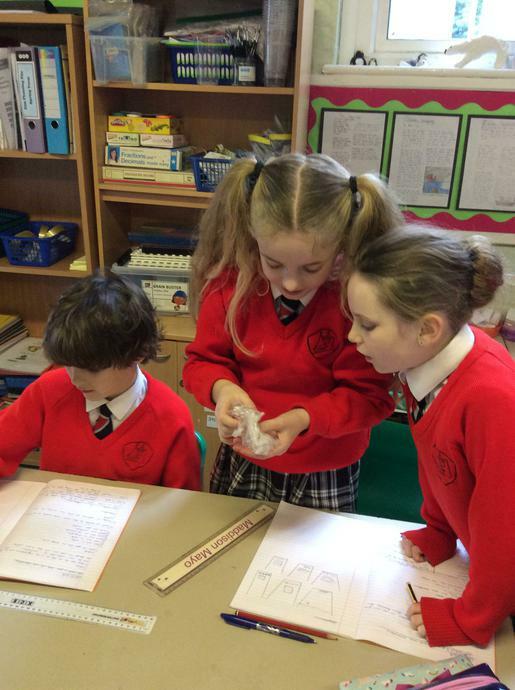 We took photographs of our findings in pairs and then compared our results. 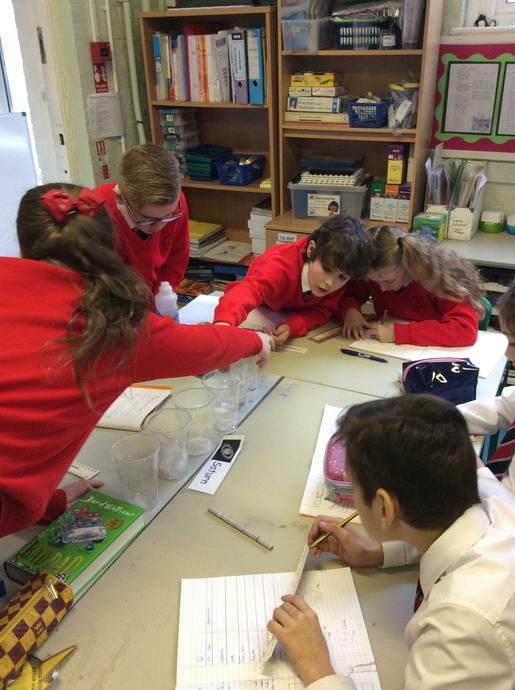 This week, we learnt about how trees fit into the classification of plants - we decided that they were seed bearing plants and were either conifers or flowering plants. Then, we discussed the similarities of all trees and concluded how these would help us to classify individual trees. Following this, we went up to the playground and studied the trees there, recording observations about the leaves, bark, size and shape of each one, before using a key to help us name what they were. Our topic in term 4 is: blood heart. This has a science focus, and means that we are learning all about the human heart and circulatory system. 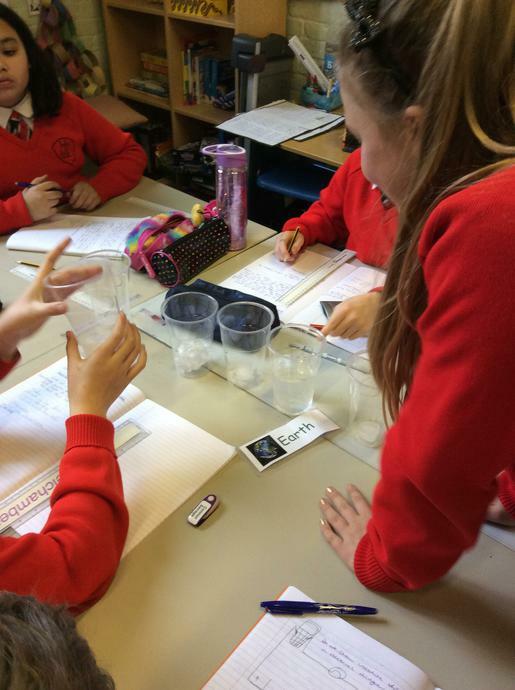 We started by looking at circulation, and acted this out to help us to understand how the blood moves around the body, giving oxygen, and taking away carbon dioxide. Following this, we looked more closely at the heart and how it is involved in this process, before looking at each part of it in detail. In term 3, our science lessons are focusing on: properties and changes of materials. 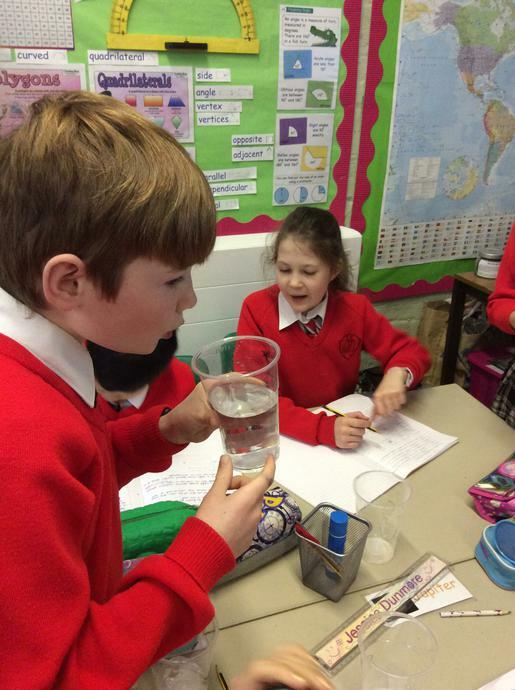 We started this off by learning about thermal conductors and insulators - using cups made of different materials. 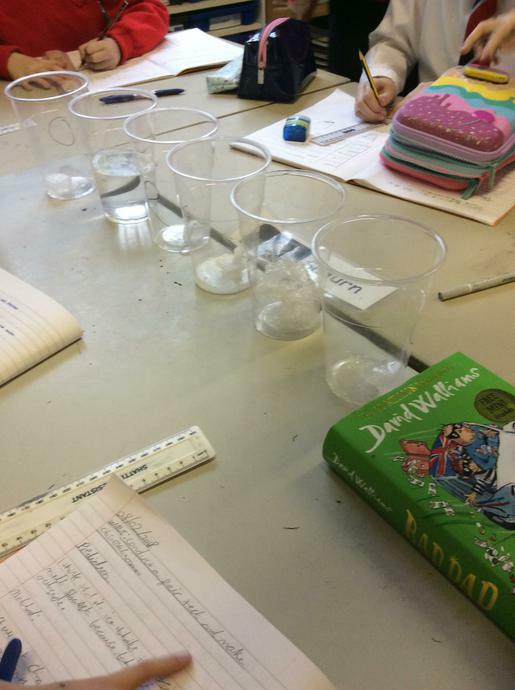 We filled the cups with boiling water, and then took the temperature of the water every two minutes over a twelve minute period. 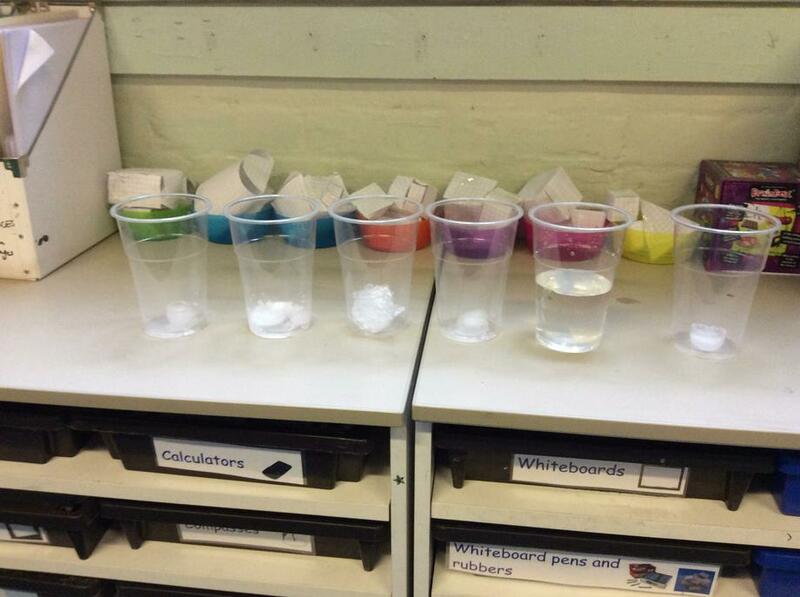 The results allowed us to see which cup had retained the most heat, and was therefore the best thermal insulator. 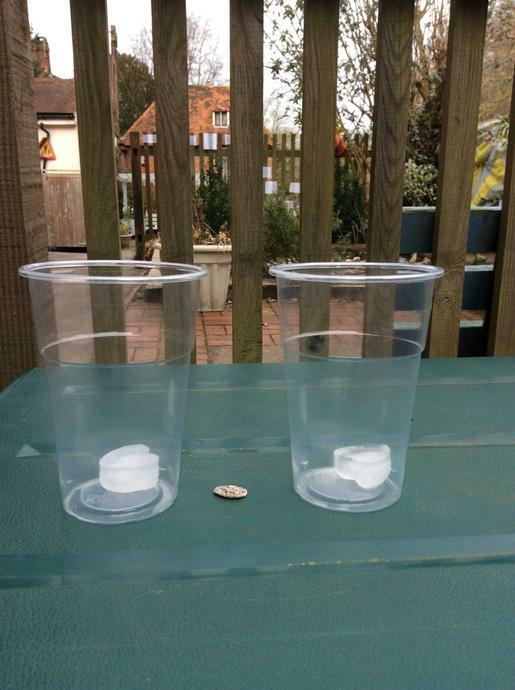 We asked ourselves the question: what affects how quickly ice melts? 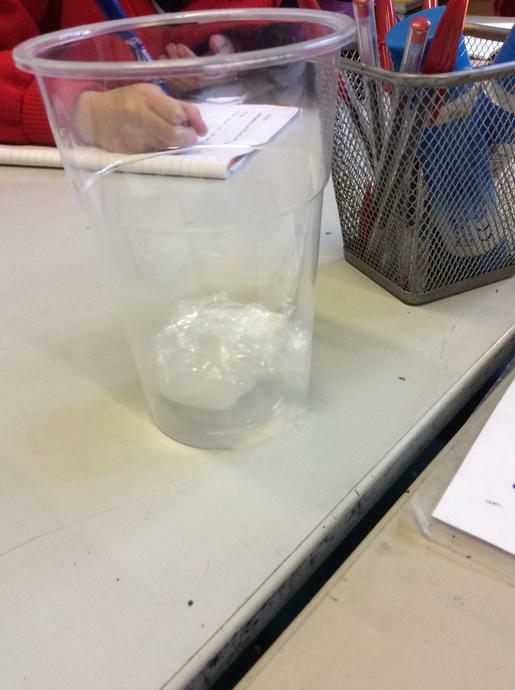 In order to answer this, we had six ice cubes, that we put in different conditions to observe. 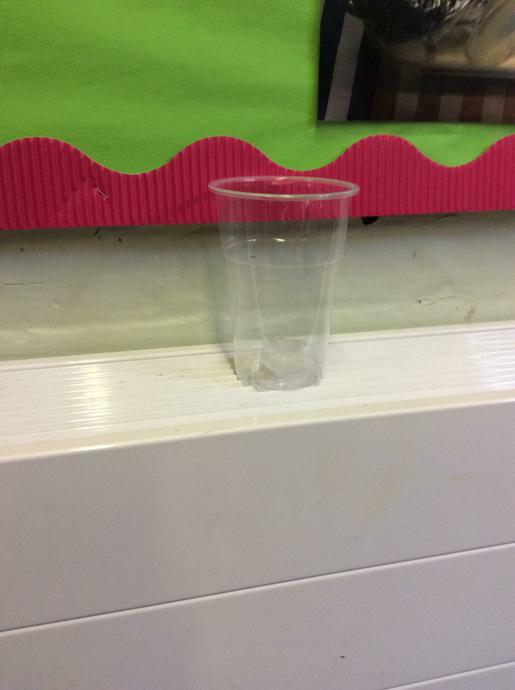 There was one control, one in water, one in salt, one wrapped in cling film, one outside and one on the radiator. 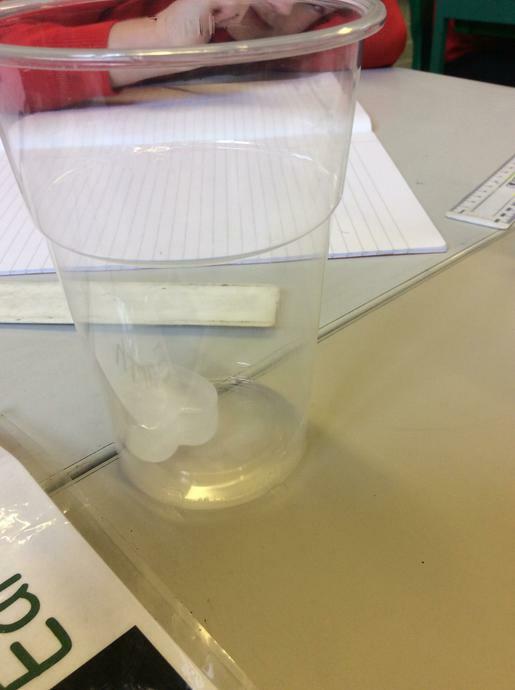 Over the course of the lesson, we observed what happened to the different ice cubes and used this to draw our conclusions. 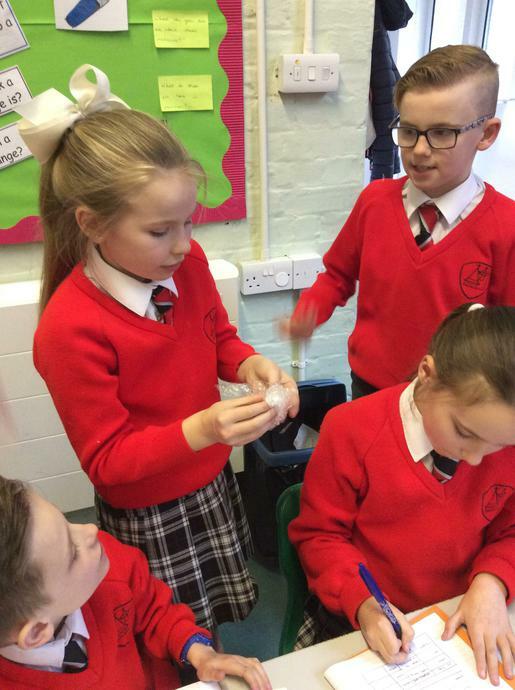 In our science lessons in term 2, we have been learning about evolution and adaptation. As part of this, we focused on camouflage. We went up to the nature area, where Mrs. Taylor - Hicks had hidden some 'worms' (coloured bits of wool) that we had to find. We found all of the brightly coloured worms, and found these most easily, whereas we only found one of the brown worms, even though far more of these had been hidden. We concluded that this was because they were the most camouflaged, and therefore the ones most likely to be able to reproduce, meaning there were more of them in total. Following on from our learning surrounding switches, we applied our knowledge to make pressure pads; using tin foil, cardboard and foam. 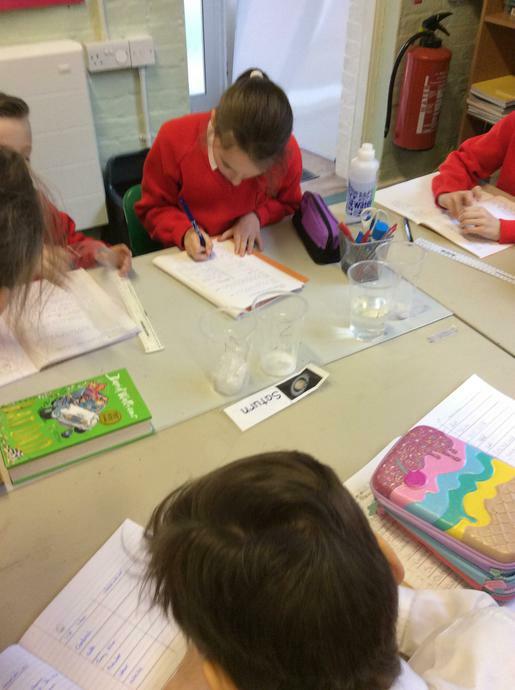 Once we had explored these materials and discovered how to make the pressure pad, we used these as quiz show 'buzzers' - we wrote our own questions based on our learning from the term and tested each other's knowledge! We made our own switches in Science! We were given paper clips, brass fasteners and cardboard, and tried lots of different experiments to create the perfect switch. Eventually, we realised that creating something where the paperclip could move between the 2 brass fasteners did the job of a switch in a circuit. In term 1 our topic in science is electricity. We began by learning what electricty actually is: a flow of particles, called electrons, that when given energy, move and make things happen! To demonstrate this, we went into the hall and created a human circuit! We were each an electron, stood in a circle. Mrs. Taylor - Hicks was the power source (a battery) that gave us energy (grapes) When we got a grape, we moved to create a flow of electricity. Then, we added a bulb - we gave him some of our energy as we passed to make him light up! Afterwards, we went and learnt the symbols for different electrical components, and made some circuits that we then drew in our books.